Crowdfunding for the food Movement! Recently started project aims to put 1 billion dollars in the hands of food innovators within the next 5 years. So meet the people leading the movement, share stories with them, and fund projects that resonate with you, or create your own project. 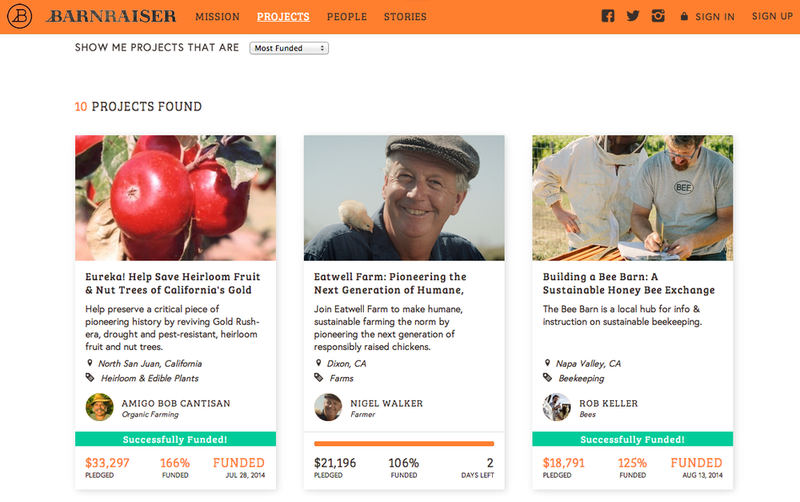 Why build a crowd-funding community just for the food movement? Crowdfunding is rapidly changing the way we drive innovation, personal aspirations, new products, and social change. No group is more deserving than those on the front lines of the food movement, leading us toward health and sustainability. Barnraiser is a place to meet and back the thousands of food and farming innovators and put better food on our collective table. When one farmer gets a new barn, the whole community gets better food. Its all up to us.